Saint Casimir - My Catholic Life! Ever since the Three Kings came to leave their gifts at the altar of the crib in Bethlehem, the Lord Jesus Christ, King of the Universe, has drawn generations of nobles, kings, and emperors to Himself. Today’s memorial commemorates a young man named Casimir, Prince of Poland, who died at the age of twenty-five. Casimir was the third child in a family of thirteen siblings and had everything that life could offer. But it was still not enough, and Casimir knew it. Unlike many wealthy, powerful, educated people, Casimir knew that life did not offer, and could not offer, what the soul most deeply yearned for. He had his head screwed on straight and tight. Casimir never lost sight of the higher things that truly mattered, even though his life was full of the intrigues and cares of war and state. Any true search is open to finding. A search that begins with the premise that it will never find, or never end, is not really a search. It’s just wandering. A true searcher must be a finder. How many people claim to be searching for the truth, for God, for meaning! Yet when they unearth the elusive treasure, open it up, and see its contents, they are disappointed and move along to search for something else. Why? Perhaps because the treasure made moral demands on them, or required that prior life decisions be repudiated or modified. If a searcher sets personal conditions on what he will find, his search will never end. The search will just become a reflection of the searcher’s own personality and desires, not a true quest for something objective outside of himself. Saint Casimir searched for God as a child and youth, as all children do. But his search unearthed a treasure very early on. What Casimir sought, Poland provided. Casimir imbued so totally what his Catholic birthplace offered that he is considered an emblematic Polish prince: pious, just, chaste, poor, and strong. A country, similar to a religion, is a carrier of meaning. It absorbs and refines, over time, millions of individual searches until it responds to its people’s searches in the form of heroes, flags, hymns, holidays, and statues. A patriot loves his country in the same way that a religious man loves his religion and God. His love is specific. He loves a country, a religion, and a God—and Casimir was no exception. It is said that behind every great man is a great woman. 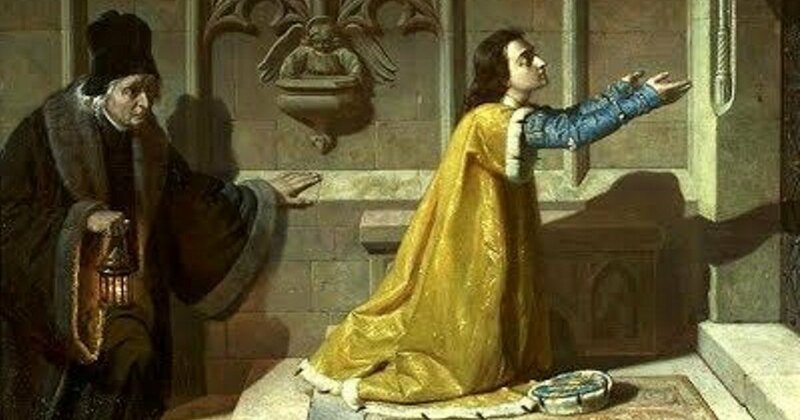 Saint Casimir never married and preserved his chastity until death, despite offers of marriage. What was behind him was not a great woman but a great nation. Poland was his mistress. The faith and thick traditions of Poland developed over many centuries in response to man’s search for meaning in that great nation. The Polish nation did not understand Poland’s past as an anchor, an imposition, or a burden. Poles understood their nation’s cultural riches as a common inheritance of their ancestors. And Poles were eager to honor their forefathers by faithfully accepting, with gratitude, what they handed down. The fullness of these ancient traditions was imparted to today’s saint from a young age by his teachers, especially by holy and learned priests who were like second fathers to him. Casimir learned to love the Lord’s Passion, the Sacraments, the Virgin Mary, and the Church. These loves deepened as he grew into adulthood and personally experienced the harshness and venality of life at court and on the march. He did not see the need to become a priest or a religious in order to live his faith. He remained a layman his entire brief life. In this he presaged the emphasis on lay vocations the Church would promote in the twentieth century. He was a layman, a prince, and a saint. Anything is possible in the Church for those who love God first and foremost. 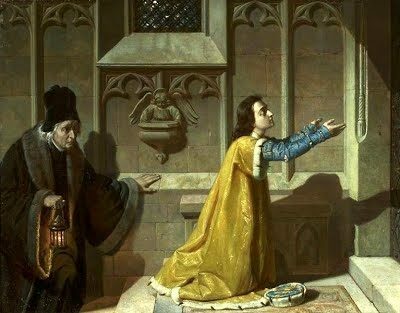 Saint Casimir, we ask your intercession to aid all leaders of governments, churches, and families to emulate your virtues; to be poor in spirit, just, pure, and faithful. With your aid, may leaders guide those under their authority to love and serve their country and their God with greater fervor.